It’s easy to begin each new year with ambition to achieve greatness though personal wellness and fitness. After all, January represents fresh opportunity to reset and push forward without the baggage of what came previously. Of course great plans can easily lead to disappointment when we don’t stick with it and make achieving personal goals a priority. When it comes to this, there’s no better source for inspiration than Skechers Elite athlete Meb. Throughout his esteemed career, he built his reputation as one of the greatest American marathoners of all time by never allowing the world to tell him he couldn’t excel. Meb ran his final competitive marathon in November and if you need some uplifting motivation for sticking with your goals, be sure to check out this engaging five-part documentary about the lead up to his final race—MEB: The Home Stretch. The teaser below gives you a taste and head to Runner’s World to see the entire film. Persistence is key to Meb’s training and you can work his champion-building strategies into your own routine. Take a look here to learn Meb’s favorite 13 drills that he used to keep his body in world-class competitive shape at age 42. And you can even ask the man himself for training and motivation tips when he appears Friday, January 12 from 12-2PM at the Skechers Performance booth during the Memorial Hermann IRONMAN Sports Medicine Institute EXPO leading up to this Sunday’s Chevron Houston Marathon. This is the fifth year that Skechers Performance has been the Official Footwear and Apparel Sponsor of the big race and a limited-edition collection of race products will available at the EXPO and online at skechers.com. The special ‘Houston 18’ designs for the new Skechers GO Run Forza 3™ and the Skechers GO Run 6™ can be seen below. Racers and fans attending the EXPO will also have the opportunity to meet Skechers Elite Runner Kara Goucher on Saturday, January 13 from 2-4PM. And those purchasing gear at the EXPO will have the option to round their purchase up to the nearest whole dollar, with the difference being donated to the Houston Marathon Foundation—an organization that promotes the advancement of running and provides after school running programs, coaching and guidance to over 2,000 youths in the Houston area. Funds raised during the 2018 register round up will help with rehabilitating community parks, trails and green spaces that were washed away by Hurricane Harvey and provide support to partner programs of the Houston Marathon Foundation that were impacted by the storm. Additionally, through this partnership, Skechers Performance has donated 100 pairs of running shoes and technical running T-shirts to high school students in need throughout the Houston area. And beyond the marathon through its BOBS charity program, Skechers has to date also donated more than 10,000 pairs of shoes, 25,000 pairs of socks and 2,000 lunchboxes to area families impacted by the storm. Whether you’re just starting on a new fitness adventure or preparing for the ultimate big race in Houston or elsewhere this year, we wish you great success on your journey. Let us know where you find inspiration to reach your goals in the comments! ‘Tis the season to find the hottest Skechers styles for the trendsetters in your life and our holiday gift guide is filled with great ideas for men, women and kids! But make sure you get to it quickly because the deadline for standard shipping to arrive in time for Christmas is this Monday, December 11 at 5PM PST…and with express shipping, you have a few more days until Thursday, December 14, to place an order. 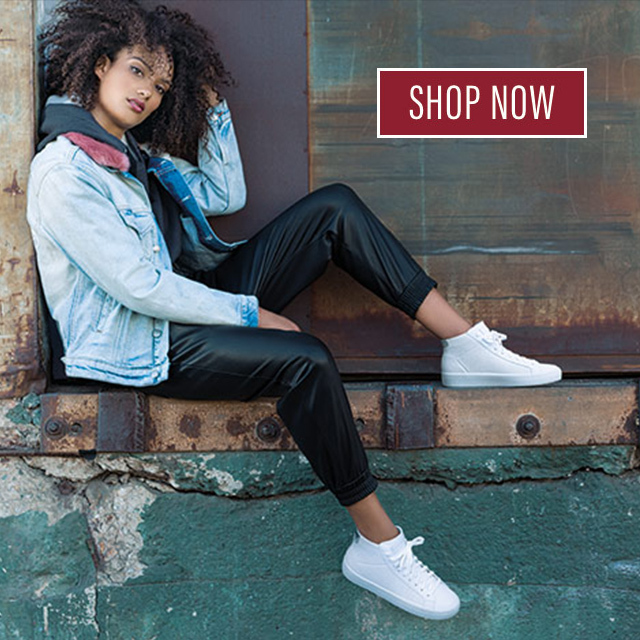 Check out the teaser of featured styles below and shop the Holiday Gift Guide here on skechers.com to ensure your gifts make it before the big day! New styles will be featured next week! For WOMEN, every fashionista following top trends will adore cool slip-on and lace-up styles from the Skecher Street collection. Designed with premium materials and featuring eye catching colors and designs, these sneakers look great and deliver on comfort. Casual is always on-trend, so the MEN on your list are sure to love these cool slip-ons that feel amazing at every step thanks to the soft Air-Cooled Memory Foam insole. Easy-to-wear and exceptionally convenient, he’ll understand why comfort is king when wearing Skechers. Packed with bling and lights plus fun patterns that she’ll love to wear, GIRLS can’t get enough when it comes to Twinkle Toes. Each brightly colored high top offers a way to show off her personality in style. It’s the only pair she’ll want to immediately put on to show off and play. Fall is upon us and I have been working on my winter belly all year LOL! Most people are cramming in fitness routines to get bikini ready for summer but I like to stay fit every season. The colder it gets outside the better it feels to bring in the heat. Increasing your fitness commitment can help balance the decadence of the holiday season. We all know that the holidays bring on more social commitments, celebrations, and high caloric festivities. Drink a ton of water, and by that I mean consume a lot more water than your festive cocktails. BTW, hydrating will also help flush out high sodium yummies. Partner up! Training with friends keeps you committed, honest and laughing through the sweat! Check out this sneak peek of a scene from my new fitness project–the Brooke Burke Body Fitness app that launches December 1st. Join me on my fitness journey around the globe to see how easy it is to make it happen anytime, anywhere. Increase your cardio, the more calories you burn the more fat you blast!!! If it’s too cold outside for active outdoor activities, then take an indoor class. I have always believed that cross training is super important. High-impact aerobics are my personal favorite; if you’re not sweating you’re just not working out hard enough. I also love group spinning and taking different types of classes with my girlfriends. Hot yoga is beneficial on many levels far beyond body. One thing that I highly recommend to help manage the holiday madness is taking time out to breathe, relax, and get centered. Not only is stretching one of the best things I know that we can do for our body, even a five minute Shavasana can turn your whole day around. I am really into home workouts. Being stronger than your excuses will allow you to figure out ways to stay fit even in the privacy of your own living room. BTW, if you follow me on social media, I share many tips and tricks that will help you tone and tighten at home. There are plenty of workouts available for FREE on YouTube and short little secrets on Instagram. Yes, you can find tools to help with a workout anywhere–a chair can turn into training equipment at home. Here’s me behind-the-scenes shooting for my Brooke Burke Body Fitness app in my backyard in Malibu. It’s my “No Excuses” philosophy at work! Last but not least, one of the best ways I know to burn calories and have fun doing it is to dance the night away! If you’re really smart, you’ll kick off those stilettos and slide on your Skechers for your own cardio party! Skechers ambassador Brooke Burke-Charvet is a busy mom of four, entrepreneur, fitness guru, and co-founder of ModernMom.com. For the latest tips or advice from Brooke plus updates on the upcoming launch of the Brooke Burke Body Fitness app, make sure you follow her on Facebook and Instagram and check out her podcast, The Brooke Burke Show. And be on the lookout this January when Brooke returns for a new season of Chicken Soup for the Soul’s award-winning show Hidden Heroes on the CW network. BEFORE WE START, PLEASE REMEMBER THAT WHEN PARTICIPATING IN ANY EXERCISE PROGRAM, THERE IS A RISK OF PHYSICAL INJURY. BEFORE STARTING THIS OR ANY OTHER EXERCISE PROGRAM, PLEASE CONSULT WITH YOUR DOCTOR. Even if you don’t have time to do a complete workout, it’s important to perform basic mobility exercises daily to maintain fundamental movement skills. Mobility exercises allow us to move freely, and do the things we love with vitality, power — and most importantly without pain and/or tightness. Akin to the ‘use it or lose it’ concept, if we neglect our body’s desire to move, we eventually lose the ability to move freely and easily. Nowadays, our work has a tendency towards inactivity, which means that it is even more important we maintain basic strength and flexibility. Try to incorporate two to three of these basic mobility exercises to keep your body, your joints, and your spirit happy and healthy. Initiate the movement with the hips reaching back, then the knees bending, and reach hands under torso. Only go as low as back can stay in a long and flat position. Katie Yip is a NYC-based Pilates instructor who was featured in Women’s Health Magazine as a finalist for the 2014 Next Fitness Star contest. She is a contributor to BuzzFeed and Women’s Health Magazine, and holds a masters degree from Columbia University in Exercise Physiology and a BS in physiology and neuroscience. Learn more about Katie at katieyippilates.com. We love seeing your pictures and we’re always looking for more cool and fun shots of Skechers out and about in the world! Are you up to the task? If yes, you could win! All you need to do is take a photo of in your Skechers and post it with #spottedinSKECHERS on Facebook, Instagram or Twitter. We pick a new winner on each platform every month! So keep sharing for more chances to win. And as an added bonus, your fabulous shot may end up on the Skechers feed seen by an audience of millions! See complete rules here. And to get inspired, check out the gallery below for some of our favorites from the last few weeks–credit to the Instagram handles referenced in each caption. I love to start my day with energizing tunes that give me good vibes. I slip on my YOU by Skechers and hit the streets or treadmill with a nice stroll. As these beats uplift me, my walk turns into a jog and after 2-3 songs I’m ready to SPRINT. Sprinting might not be your thing but I’m pretty sure these beats will have you speed walking in no time. I think it’s important to not only listen to songs with a good beat but to also choose music with positive lyrics that inspire you to be a better person. Take a listen to my favorite walking playlist on Spotify (check it out here) and let me know your favorite songs from the list in the comments. Maybe you’ll even be inspired to rock a couple of yoga poses after your walk. Have a happy day! Koya Webb is an International Holistic Health Coach with certifications in personal training, yoga, holistic health and integrated nutrition, who has helped thousands of people across the globe better their lives by helping them reach their health and fitness goals. She is the creator of the popular Get Loved Up movement that inspires positive change world-wide through daily holistic living practices. Keep up to date with Koya at KoyaWebb.com and by following @koyawebb on Instagram and KoyaWebbOnline on Facebook. We share in that commitment and asked our Skechers friends around the world seen in the images below to flash their peace signs to commemorate this important day. To learn more about special events happening tied to this year’s UN theme of “Together for Peace: Respect, Safety and Dignity for All,” check out the map at internationaldayofpeace.org. We want to hear from you! Let us know how you plan to reflect and act in the name of global peace in the comments.